You are at:Home»Family & Parenting»Child Safety Locks – EliteBaby Cabinet Latches Are For You! If you are in the process of babyproofing your home and you haven’t come across child safety locks, then consider yourself fortunate. Cabinet latches are the lifeblood of babyproofing. Sure, corner guards and the like play an important role, but with the number of different uses for child safety locks, these have to be on the top of your list as you stock up before the little one arrives. These discreet baby safety cabinet locks secure furniture, appliances, and doors to protect your child from harm while keeping your things organized and safe from curious little fingers. In the kitchen alone there are all sorts of potential hazerdous things, such as cabinets, drawers, a refrigerator, a freezer, dishwasher, microwave, trash can… you get the drift! Anyway, with all these items you might not be thinking about day to day, there are many opportunities for things to be opened! While you might not eb thinking about it, it could pose as some fun for the little one. Why is it that we choose to leave all the chemicals and cleaning equipment in the cabinets beneath the sink again? 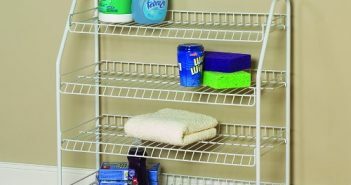 (Washer, Dryer, Laundry Hampers), Bathroom (Cabinets, Shower Doors, Toilet Seat), Garage (Toolboxes, Chemicals, Paint, Storage Boxes), bedroom (Drawers, Closets, Desks). These cabinet latches are designed with an innovative push and slide design which allows you simple, one-handed access to the strap. That said, it is quite challenging for infants and toddlers to figure out. Ingenious. The stylish, slim design blends in with your décor. Did we mention that it’s adjustable!? It is easy to install, touting strong, industrial strength 3M foam tape that can hold up to 55 lbs. for heavy-duty daily use. It is a baby proofing sample made of foam tape adhesive bonds to all materials and removes easily without damaging surfaces or leaving behind any residue. 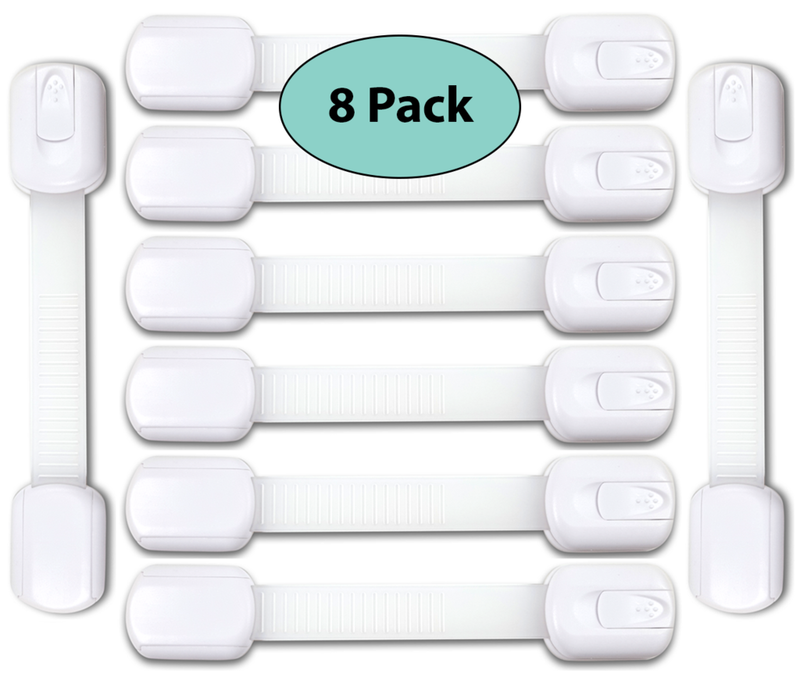 These child safety latches have the longest adjustable length on the market and are made from high-quality, non-toxic plastic. Flexible strap can be easily adjusted to different lengths and can be used on both flat surfaces and corners without breaking. No small pieces pose no choking hazards. 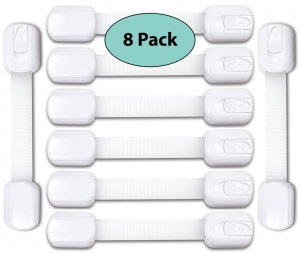 This super value pack contains eight baby cabinet locks to secure major cabinets in your house and protect your child from all low hazards If you’re not satisfied for any reason, the company guarantees the buyer a one hundred percent money back. They are not electrical and hence do not require any power supply to be functional they are mechanical in their make. They can be purchased online through their store EliteBaby and on all the major online retailers like Amazon, Walmart and Sears — also in some retail stores. They are a brand to watch and are surely going to keep building on their momentum. They are a versatile commodity and can be used on many sharp- edged or cornered appliance or unit in the house like cabinets, door, safety doors, refrigerators, freezers, trash can, microwaves, washers, dryers, toolboxes and storage boxes. They are baby proofing samples can be stretched to fit the length in which they are to baby proof. 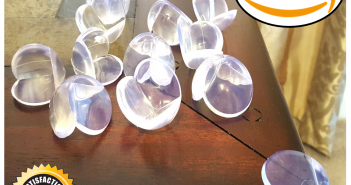 They have an adhesive coating which bonds with the edges which they are meant to baby proof, reducing the risk of exposure that the baby might reach at. They do not obstruct with the device they are baby proofing as they are just add-ons on the appliances or units they are baby proofing. They can stay on for a long time and not be a nuisance to use. They are made from non-toxic plastic that is not harmful to children who touch them. What’s to stop you from giving these a try? They worked for us. We even got a few packs. Check out EliteBaby products here. Take a look at the EliteBaby Facebook page here for other products and baby updates. In your cabinet latches search, we hope you consider these child safety locks, as they have been a lifesaver for us, over and over.